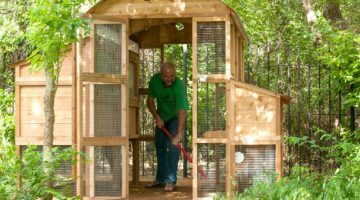 Pamper both you and your chickens with the one-of-a-kind Round-Top Walk-In Chicken Coop. Theres nothing else even in its class. Comes standard with its own integrated waterer and feeder.